This was a very intriguing read about the White City or Lost City of the Monkey God in the Mosquitia mountains in Honduras. It shows the hunt for the White City over a century by various archaeologists, treasure hunters, and scientists culminating in the use of laser techniques to find major archaeological finds in the Mosquitia rain forest. We learn about the people who lived in the rain forest and the biological factors that may have forced them to leave their ancestral homes. The book explores the horrific number of dead and society and cultures lost by Old World diseases invading the New World as well as an ancient epidemic that will soon be sweeping modern day populations. This was a very interesting book that sparked my interest in history, archaeology, and epidemics all in one and made me want to do outside research about the Mosquitia people! I would recommend this to anyone interested in a nonfiction that spans a large span of time and shows the personal, global, and academic ramifications of an archaeology find. I love series so this one is difficult! I think Terry Goodkind- his Sword of Truth series is 24 books long. I’ve also read a lot of Christine Feehan, Kresley Cole, and Debora Geary! Hot tea or hot chocolate! I love feeling cozy while reading. I love the idea of physical books- hardcover books just look so pretty. But I mostly read on my Kindle because it was either stop bringing more books into the house or there wouldn’t be room for my husband! Ron Weasley- I’m the oldest of 4 girls so I understand having a house full of siblings; I also have a ton of freckles; and I’ve also always been the “funny one” in my groups of friends. I think he would be a great friend then boyfriend in high school! Someone to hold hands with and make you laugh. I combined this one with the question below, I loved The Thief by Megan Whalen Turner because I went in with 0 expectations. The Thief by Megan Whalen Turner! This was such a surprising book that not many people seem to have heard of! I love the main character and the twist at the end! My 11th birthday. My aunt bought me 2 books for my birthday – Harry Potter and the Sorcerer’s Stone and Harry Potter and the Chamber of Secrets. Those books are what sparked my love of reading and truly showed me how magical books are! I’ve been a Potterhead (proud Hufflepuff, thank you very much) since then and I still try to reread the series every year. Hmm.. not much, honestly. Christian NonFiction, Christian Lit, or Old School Westerns don’t really appeal to me. I would say the Lord of Rings trilogy which I read as one volume. Also Harry Potter and the Deathly Hallows was a whopping 759 pages! The problem with reading books for review is I feel like I’m living in about 3 different book worlds right now! The modern day gritty world from Blackbirds, 1700 England from Slipper, and the werewolf pack of Aspen Creek from Burn Bright. Hmm… 3. But I share them with my husband for his video games and manga. I stopped buying as many physical books when I got my ereader because my husband and I were running out of space to store everything! I REALLY want to some IKEA shelves so all my bookshelves match and I can style them in some way. Right now, they are a mix of browns and scattered around our room. I depends on what I’m reading and what time of year it is. During the warmer months I go outside to our covered gazebo and bring a glass of wine and enjoy the sunshine. In the fall months, I sit in the same gazebo with the fire pit going and a cuppa hot tea or chocolate. In months like this, I sit beside the electric fireplace inside and pretend I can hear it crackling! Ever letting myself lose my passion for reading. And letting myself get into this kind of perpetual reading slump. I can’t seem to just sit down and read much anymore. I used to read book after book after book, but now it takes me weeks to read a 200-and-something page novel. Guess that’s what years of depression can do for ya, huh. But that’s another reason why I created this blog: to surround myself with other bookworms and get myself motivated to read more! Dragonriders of Pern series! I think I’ve read one or two? I loved the Dragon Harper trilogy with Menolly that happens in the same universe. Percy Jackson and the Olympians series. Yes, I know at 26 I’m too old for this series. No, I do not care. I am 100% a daughter of Dionysus and I’m here for it. Staying up WAYYYY too late to finish a book! Like 6am comes around and I’m still reading and I have work at 10am late! I get sucked into a good story and can’t tear myself away long enough to ya know, sleep! I talked about all of them in Stacking the Shelves but I’m most excited about Red Queen because it’s the second book in a duo, and I loved the first book! It’s a retellig of Alice in Wonderland and it’s so dark and twisty! My latest up till 6am read was Burn Bright by Patricia Briggs. It’s the latest book in the Alpha and Omega series and well, I devoured it! Happy Sunday my friends! Today I’m going to share with a wrap up of what to expect this week as well as teasers for some of the new books I received! How to Love a Jamaican Into the Raging Sea A Place For Us How Hard Can It Be? I loved the creative imagining of Fairy in this story! The story line was compelling and the characters well thought out! 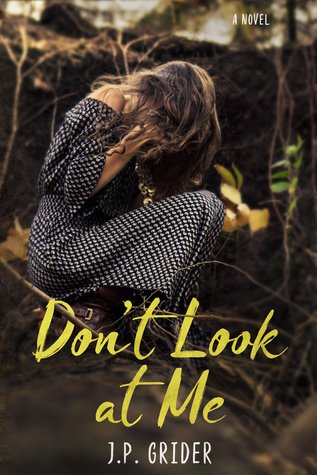 Book Blogger Hop – I’ll answer Do you ever feel like you have emerged better for reading a book? Which of the books I posted above are you most interested in reading the review? Let me know below so I can bump it to the top of my TBR pile! Book Blitz Better With You + Giveaway! EXCERPT – Please choose 1 and delete the other 2. 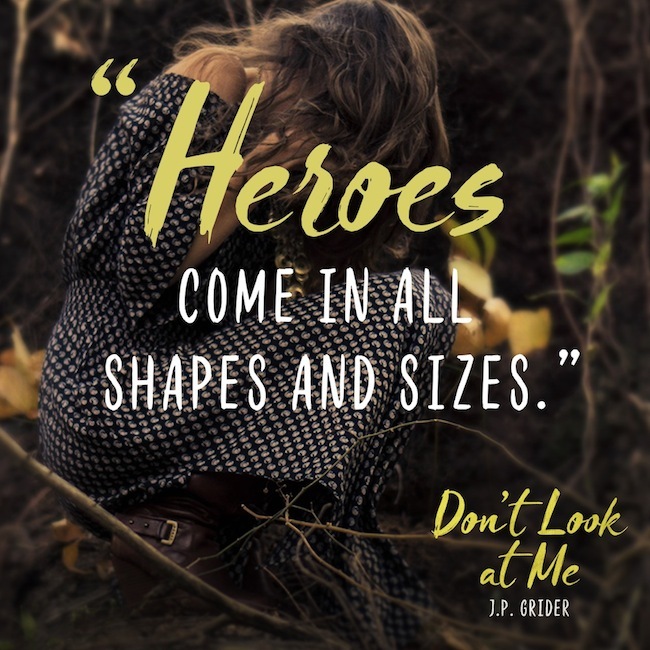 Today I’m bringing you the book blitz, excerpt, and giveaway from Don’t Look at Me by J.P. Grider! This sounds like a great retelling of Beauty and the Beast and I loved the excerpt! Thank you for visiting! Let me know what you think about this excerpt and if you added this to your Goodreads list! I’m very excited to be part of Xpresso Tours and bring you the cover real of Across My Heart by Shanna Clayton! 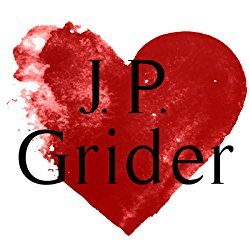 I’m also thankful to share an exciting giveaway for a $25 Amazon Giftcard offered by the author! Enter below and good luck! Tell me what you think of the cover, have you added this book to your TBR pile yet? I sure have! Welcome to Stacking the Shelves, a weekly meme where I share what books have been added to my shelf this week!